FREE 6/17 – 6/19 ONLY! Don’t miss it…get your FREE copy today! 20 reviewers gave this novel 4.8 stars! Everyman Carl Johnson’s mundane life is turned upside down when mistaken identity makes him the target of our government’s Terror Event Response unit for the kidnapping of Madam President’s daughter. Brutality and torture and the needless shooting of his only son cause him to spiral beyond reach of the most elite, highly trained agents while he attempts to uncover the plot behind it all and rescue the girl. Jeffrey Poston is the acclaimed author of several fast-paced adventure thriller series that have garnered many 5-star reviews on Amazon. He has also received rave reviews of his Jason Peares historical western series. Blending traditional and revisionist historical research, his westerns have been praised as “fast-moving” (Kelton) and “exciting, page-turning” (Zollinger) and “among the best writers of westerns” (Biblio.com). Before pursuing a writing career, Jeffrey obtained an electrical engineering degree in laser optics and was an Air Force officer and gentleman. He lives in the great American southwest in Albuquerque, New Mexico. Visit https://jeffreypostonbooks.com for Making of and behind the scenes facts, Interviews, and to sign up for a free copy of the upcoming novella continuing the story of the American Terrorist. Carl Johnson, known as the American Terrorist, takes on today’s most controversial news headline: Police Brutality. While tracking leads to find those responsible for the assassination attempt on America’s first female president, Carl Johnson finds himself in a confrontation with militarized police in a major US city. To protect innocent civilians, Johnson has to defy laws which clearly support the police and the government. This fictitious but heart-wrenching story tackles the complex social issue of Americans versus Americans, and takes a deeper look at who stands to gain from the hard-line stance many police units take against protesters. If this topic, covered in today’s real news coverage, disturbs you, then you won’t want to miss this free short novel, “HEAD SHOT”. Reserve your FREE copy [short novel] "HEAD SHOT"
It’s coming July 1 and it’ll be free… but it’s only available right here or on my website http://bit.ly/1vM8EON. Put your email in, and reserve your free copy of the short novel “HEAD SHOT” today. Black History month gives us an opportunity to journey back and dwell on the impact of the Black experience on the current-day American experience. The “military experiment” of Blacks serving in the army is one of the better-known historical pivot points. Warriors is chronologically the third in the five-book Jason Peares historical western series. This is a work of fiction, but the conflict between the (Black) Buffalo Soldiers of the Ninth Cavalry and the Apache warriors in the early 1880s was very real and well documented. This was not just a two-sided conflict, though, because there were political and economic factors regarding the business of war that heavily influenced the continuation and outcome of the conflict. What I’ve tried to capture in this story are the thoughts and feelings of the characters on all sides of the conflict as they live through this adventure, to give you, the reader, a glimpse of what life and war were really like for the Apache warriors and the Buffalo Soldiers during their struggles to fight and survive. The characters are fictional, but they’re based on the journals of military officers and enlisted men who served during the frontier wars, and of politicians who influenced government strategy during that time period, as well as interviews with Apache survivors and offspring who lived and fought during the 1880s. In honor of Black History Month 2015, Warriors is FREE and Courage, Legacy of an Outlaw, and Manhunter are 99c each on February 27th and 28th. 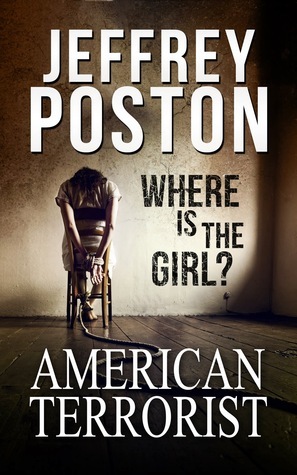 CLICK HERE to visit a complete listing of Jeffrey Poston’s books on Amazon. During Black History month, many folks, including revisionist historians, like to point out little known historical facts that the general populace may not know. For example, a lot of history and western readers know the Pinkertons were also known as cowboy detectives or frontier detectives. But did you know that the Pinkerton National Detective Agency actually hired Black cowboy detectives and cowgirl detectives? Did you know… The Buffalo Soldiers were borne of an experiment to utilize black soldiers to bolster the Army’s ranks in the aftermath of the Civil War. It has been said that after the fierce Civil War, it was not hard to recruit soldiers, but it was definitely hard to get good ones. According to published journals and memoirs of army officers, no detachment of Buffalo Soldiers ever bolted under fire or failed to do its duty. Their desertion rate was among the lowest in the entire Army. The famed group of black troopers of the 9th and 10th U.S. Cavalry regiments protected settlers, pioneers and the interests of the United States as the nation continued its westward expansion in the late 19th century. In 1866, the 9th Cavalry Regiment was formed in Greenville, La. The 10th Cavalry Regiment followed at Fort Leavenworth, Kan. Initially, the units, which were led by white officers, trained in squalor. But they quickly proved their mettle, gaining a reputation as some of the toughest and hardest-fighting units in the Army. They did so despite encountering racism from the very people they were charged with protecting. Various Buffalo Soldier regiments served at Fort Bliss, Texas, and at forts in southern New Mexico from 1869 to 1885. The Buffalo Soldiers were awarded many Medals of Honor for actions during the Indian Wars, the Spanish-American War, the Philippine Insurrection and World War I. For a very realistic look at frontier life for the Buffalo Soldiers and the native warriors they fought, visit my website to get a FREE pre-release copy of my newest historical western, Warriors, coming in mid-April. In my next post I’m going to talk about a famous Apache warrior named Nana. He caused all sorts of problems for the US Army. So follow me below on your favorite media for more revisionist history. Did you know…? According to published journals and memoirs of army officers from the 1880s, Geronimo was well known, but he wasn’t considered a major leader, or a threat, until mid- to late-1880s. Earlier, the army had its hands full with Cochise and his successors, as well as with Victorio, Nana, Juh, and others. As I got deeper into historic research for my new historical western, Warriors, coming out in mid-March, I was surprised that several cavalry commanders said of Geronimo, “He isn’t half the leader of [the others]” and that “I doubt that anyone will even remember his name in ten years.” Now, of course, we know otherwise, as many books, movies, and documentaries have been created about the man. In his early interactions with the army, Geronimo led his band of followers away from the horrible San Carlos reservation many times before being forced to return to the miserable conditions there. But he kept many army patrols busy chasing him throughout Arizona and New Mexico over the years. As his influence and skill grew, the army devoted entire cavalry units to the pursuit and capture of the man. Along the way, he claimed many victorious battles against the army, but the Indian Wars culminated with his surrender, which pretty much ended the era of freedom for the indigenous peoples of the southwest. In my next post I’m going to talk about the origins of the experiment that became the famous Buffalo Soldiers of the Ninth Cavalry. So follow me below on your favorite media for more revisionist history. It should not surprise people that the politics of what was known as “The Indian Wars” are not much different from the politics of war today. As I got deeper into historic research for my new historical western, Warriors, coming out in mid-March, I was intrigued by the political maneuvering involved in preventing the wars from ending sooner than they did. Until I wrote Warriors, like most people, I believed the reason behind the wars was to tame the wild west frontier. In reality, though, the wars were fought to conquer the west. As I read the journals written by high-ranking military campaign officers and of prominent politicians of the era, I learned the US was in a state of perpetual conquest – a land grab, if you will. That was the purpose of the westward expansion, the Louisiana Purchase, the war with Mexico (which brought the southwest states into the US), and the Indian Wars. War is, and was, big business. There were many powerful politicians who lobbied against a quick end to the Indian Wars because their wealthiest campaign contributors were making millions by selling supplies, food, and horses to the US Army. Also, huge weapons manufacturers in the east would have gone bankrupt overnight with a premature end to the Wars. In addition, there were hundreds of black soldiers stationed throughout the southwest, and many citizens were afraid that if the wars ended the unemployed black soldiers might settle in their towns. Why did the government keep taking back the reservations that were promised to the indigenous peoples forever? After the reservations were established, it was discovered that some were established on mineral-rich land. It was far easier and less costly to have the Army take back the land rather than to negotiate with the native people for the land’s fair value. I portray all these themes from both sides in my new action-packed historical western, Warriors, which pits the famous Buffalo Soldiers of the Ninth Cavalry against the fierce and proud Apache Warriors. In my next posts I’m going to talk about the origins of the famous Ninth Cavalry and the Native leader whose name the army thought no one would ever remember. So follow me below on your favorite media for more revisionist history. In my last blog post, I mentioned that revisionist historians report that as many as one in four cowboys was black. Some estimates go as high as one in three and this is from new research since about the year 2000 into actual US Census data from that era. This should not be a surprising premise since after 1865 there were thousands upon thousands of newly freed and unemployed blacks moving westward. I’ve also learned recently that between 1/6 and 1/3 of ALL frontier settlers are African or mixed-race ethnicity, that is, a mix of black, white, native, and/or Mexican. But did you also know…? A number of cowboy detectives were actually… women! That’s right. Alan Pinkerton established the Pinkerton National Detective Agency originally in Chicago. In the beginning his employees had a reputation of hired thugs with badges who busted organized strikes for the big companies. Later, though, across the frontier, well-educated and highly skilled hunters and detectives were needed to help bring justice across the land. In fact, cowGIRL detectives were hired right along with cowboy detectives to do research and intelligence-gathering work to profile frontier criminals. These Pinkerton women were every bit as skilled with guns (some were even sharpshooters) and as educated as their male counterparts. Get a realistic look at Pinkerton cowboy and cowgirl detectives in my new historical western Courage, as they employ their hunting skills against Jason Peares, the most notorious outlaw gunfighter in history, coming really really soon in ebook. In my next posts I’m going to talk about the politics of the Indian wars, the famous Ninth Cavalry, and a Native leader whose name the army thought no one would ever remember. So follow me below on your favorite media for more revisionist history.